Ah the Tanks. 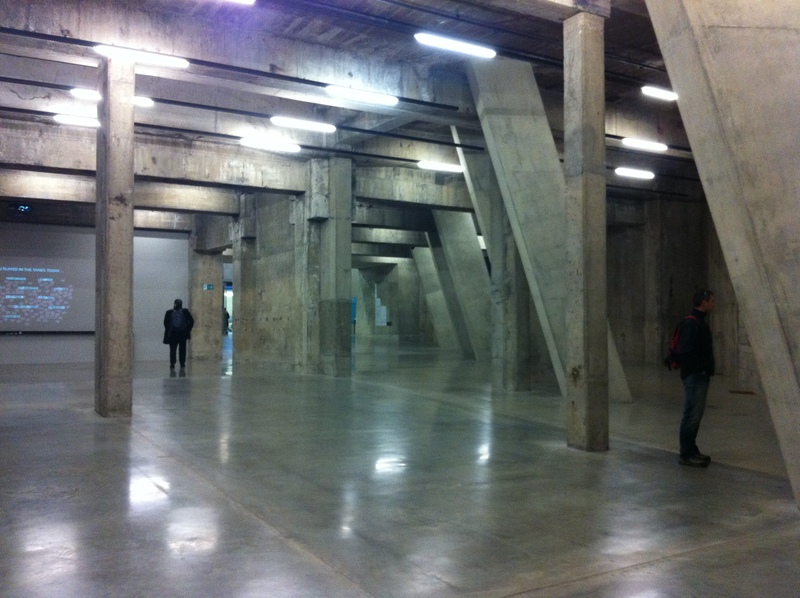 I had heard a lot about this new Tate Modern feature, and was fairly dubious to say the least. Just off the Turbine Hall, the tanks are converted concrete fuel containers. The space is amazing, massive echoing halls full of odd angles and shadows. It was inspired for the Tate to make this a display space. 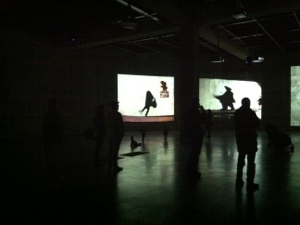 At the moment the main tank is displaying audio visual art by William Kentridge. It is the best example of art responding to its surroundings that I have ever seen. Normally this style of art leaves me cold, I don’t see the point and am often scathing of the intended meaning. But put it in a tank and it blew me away. A massive echoing womb like space, darkened so that fellow visitors are nothing but shadows, the flickering images become all encompassing. Good work Tate Modern. Good work.